This is an item from a relative of mine. I am not able to find any markings on it. It is about 27 1/2 inches in length and an inch in width. The muzzle is about an inch in diameter. Stunning, looks like a naval gun? Seems to have a bright new finish and no patina. Thanks for the love as well Jewels. fhrjr2 it does have age and wear to it. In addition, what appears to be very old, as well as skilled, workmanship. I'm at a toss-up on this one. 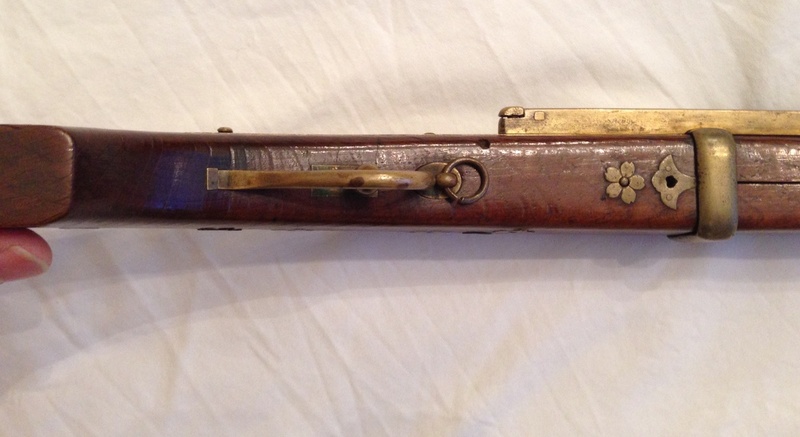 As a matchlock, probably pre 16th century except in the Mid-East, & that's the general style, where it lasted longer. Appears to be well made wood to metal match but the parts don't show expected patina/rust & the wood doesn't show the stains I would expect around metal contact. Things like this probably started being made as tourist items from maybe the later 19th century. Appears to be made damned well to be a tourist item. Basically, I'm saying that I just wasted our time to tell you that I don't know without a hands-on examination! How it was stored over the years would make a lot of difference. It's a pistol. Thanks for the love blunder, ttom, and agh! blunder. Amazing information that you shared. Thank you so much. This thing is crazy old! I know it has been well taken care of from one generation to the next and kept indoors. I have no doubt it is an original piece and not a tourist item. I may have to have it looked at by an expert locally to gain more insight into it. So are you thinking it is from somewhere in Europe based on its design? 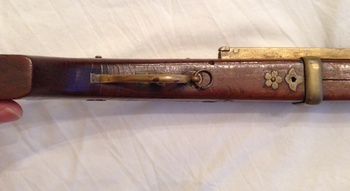 The lock plate, hammer & spring have a brassy look in the pics. Brass is not a "memory metal" so if brass, it's fake. Just looks too well made to be tourist but also doesn't show the real age signs. Metals inlaid in wood will show staining in the wood with age. There is patina which may not show up much in the pictures. Also the wood staining you mention is apparent throughout the item as well. The design is leaning more toward western area of the Middle East. The rosettes could even got close to France, but then could be Nipponese. My field is more 1700- up so I'm out of my field, which means I'm just using general knowledge. Normally when I see these, my mind screams tourist junk but I just have a feeling about this one. Inlays look period but can't tell by pics for certain. As said, metal & the incision for them, stain wood. You need an expert. Your local gunsmith would be worthless. Could be the diff. between a $150 item & a $3k - $8K item. Have it ck'd out by a professional. (And I mean a real professional antique gun expert). If my antenna is right, get 3! Thanks are welcome but not necessary electobacco. Just don't want you to get screwed if this is for real. Remember, you believe what you want to believe, so don't back-hand me if it proves to be a well made tourist item. It could go either way in my mind. I might add, the shape/curves also look original. Fakes seldom have that fine distinction. Something learned from gun collecting experience. Fakers just never seem to get it right. I respect you and what you have shared regardless of what I find out related to this item my friend. You gain nothing by sharing your knowledge with me, except respect and that you are a person of character. Which I guess is worth much more then much of anything else I suppose. The wood looks tropical, it could be a parade piece. Also doesn't look that old to me. 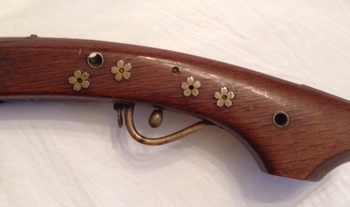 Like BB said, primitively cast brass isn't gun spring material. No way it's pre 16th century, sorry. Ditto Tube. I sure wouldn't even think about making one for that price & the wood to metal matches are pro. Thanks for stopping by and the love fort, Cind, and daddy. I think most of the real guns were made with steel springs. If it was golden color, it was washed in pure gold, not brass. 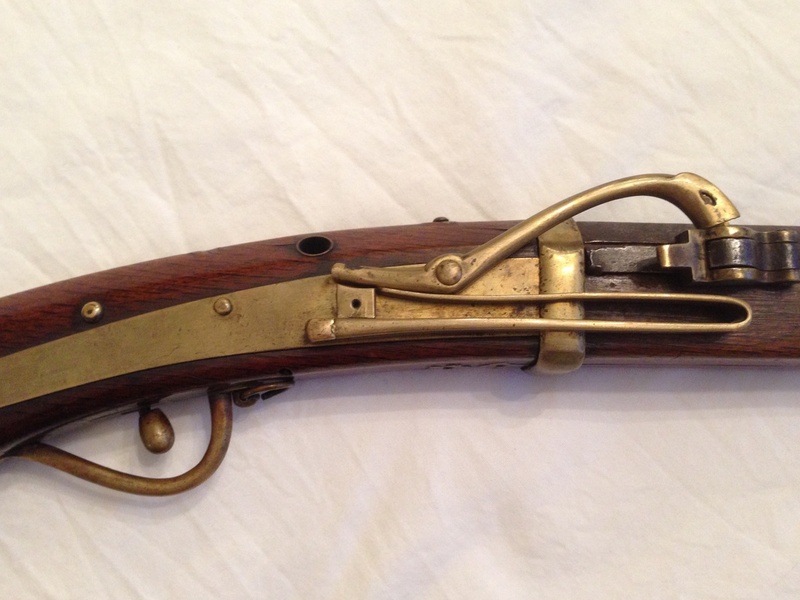 It still amazes me how reproductions/replicas/forgeries of both guns and paintings can still be worth so much money. Among other items as well I am sure. Great work everyone. All of you that chimed in. Once again it is greatly appreciated.